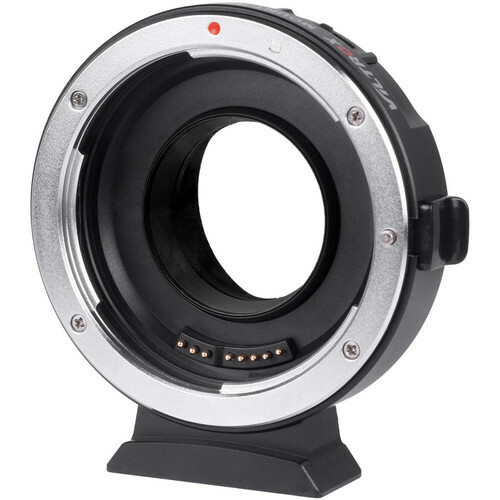 This Lens Mount Adapter from Viltrox is designed to allow a Canon EF or EF-S-mount lens to be used with a Micro Four Thirds camera with full electronic communication. The underside of this adapter's detachable tripod foot is tapped with a 1/4"-20 accessory thread, providing direct attachment to tripods or quick release plates that feature 1/4"-20 mounts. For ease of upgrading its firmware, this adapter also includes a micro-USB port. Will this control aperture from BMPCC and other M4/3 cameras?